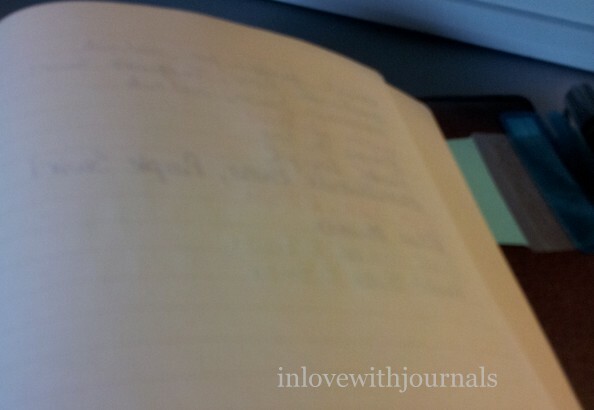 In July of 2014 I wrote this post on Bullet Journaling, and it has taken me this long to find a suitable journal to try it out with. I’m loving my Hobonichi Techo as my current planner, and it occurred to me that before I move to a Bullet Journal I would like to have the same paper. So I checked Nanami Paper’s website on the off chance they had an A5 journal like the Writer or the Standard. And there it was: the Crossfield. These Seven Seas journals are magnificent, as I’ve said before. The Tomoe River paper is fantastic. They are not always available because of their popularity. And the folks at Nanami want to make sure that each journal is perfect so they examine a few at a time and then release them onto the site. 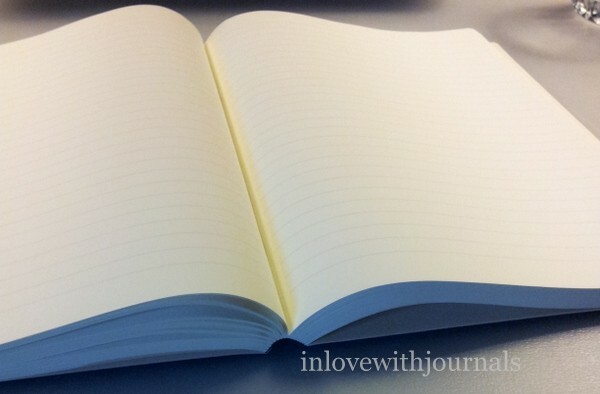 As the instructions say, if one of these journals appears to be out of stock, keep checking. That’s what I did, over a period of about a week, every day, sometimes more than once a day. And I got one. They also get regular shipments in so if they are truly out of stock it will only be for a few months, usually. And they are well worth the wait. So I ordered the Crossfield and it arrived in about a week. 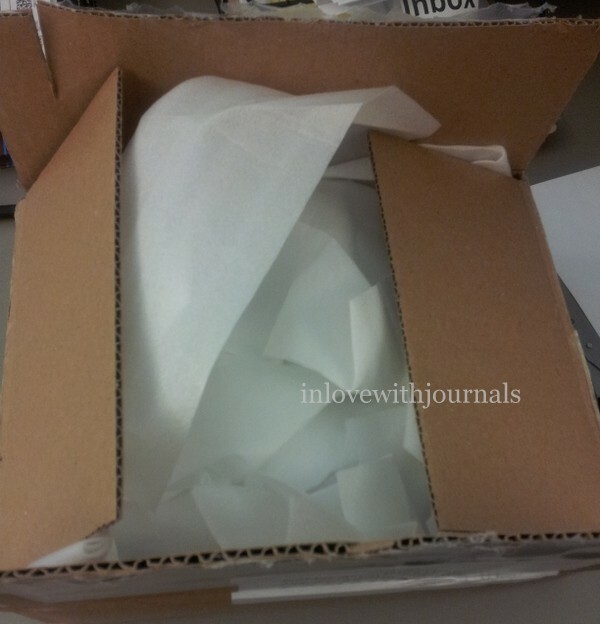 Each Seven Seas journal comes in a paper slipcover as shown above. The Standard (blank paper) is bound in brown, the Writer (lined paper) is bound in black, and the Crossfield is bound in a rusty-red colour. And each Seven Seas journal comes with a package of pink blotting paper to help with the ink remaining wet longer than you might expect on the Tomoe River paper. The paper is actually not grid, but tiny crosses that form the corners of each square. It’s like the dot grid paper you see by Rhodia, but instead of dots we see tiny crosses. Here’s a closeup of the paper. See, it’s a field of crosses! From a distance it actually looks like dots. I really like the blue colour of the crosses. 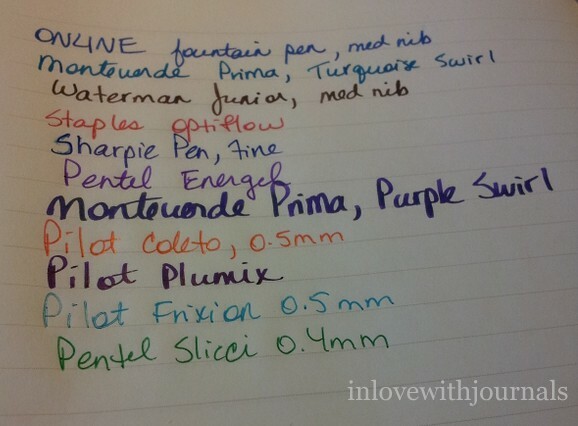 I did not do a pen test because I did one for the Writer in this post. I don’t know when I will start my Bullet Journaling. Maybe when my Hobo is done (end of this year) I will start 2017 with a Bullet Journal. I just don’t know if I can wait that long – the Crossfield is very enticing. This is good because I do not have converters for these pens so this will give me a chance to use up a couple cartridges. Love these pens. Purchases: A couple of things on ebay which will be reviewed when they arrive. I’ve been running low on paper for my LG Printer so I thought I would go to Best Buy this past weekend to get some. The friendly fellow told me LG is discontinuing the packaging for the photo paper. So he checked the computer and one store, almost on the other side of the city, had some in stock. I phoned them, they put their last 3 packages on hold for me, and I sped off to get them. And they were on sale too – $8 per box of 30 instead of $16! Score. I recorded all of the entrants for my 500 Subscriber Giveaway in my journal, and who the winners were, and their addresses, etc. Thanks again to everyone who entered. I can’t wait to reach 1,000 subscribers to have another giveaway! Ok so here’s the story behind me putting the Seven Seas Writer into rotation. I have been DYING to start it but wanted to finish at least one of the three that I have going right now. But then I got an email from a subscriber asking me very detailed questions about my thoughts and impressions of using the Seven Seas Writer, and asking advice on different items available on Nanami Paper’s website. So to answer his questions I had to start writing in it. And surprise, surprise I can’t stop writing in it! I might even turn my thoughts and impressions into a review this weekend. Thanks Matthew! Nanami Paper is an online website that specializes in fine Japanese stationery. They are famous for their Tomoe River paper notebooks and writing pads. The website is a treasure-trove of stationery facts, including a notebook buyer’s guide, a notebook value calculator, and pdfs for improving your letter writing. Even if you buy nothing the site is a fun place to spend time reading about notebooks and paper. I first mentioned Nanami Paper in this post from Aug 2014. Since then I have heard great things about the Seven Seas Writer notebook. It’s a lined notebook, with 480 pages of Tomoe River paper. I’ve checked periodically and they have always been out of stock. But a month ago the notebook was in stock so I jumped at the chance to get one. And I bought a few accessories too. I ordered the notebook plus 4 other items on April 22 and it was on my desk at work by May 1. Shipping was $18 US. The entire order came to just under $70 US. 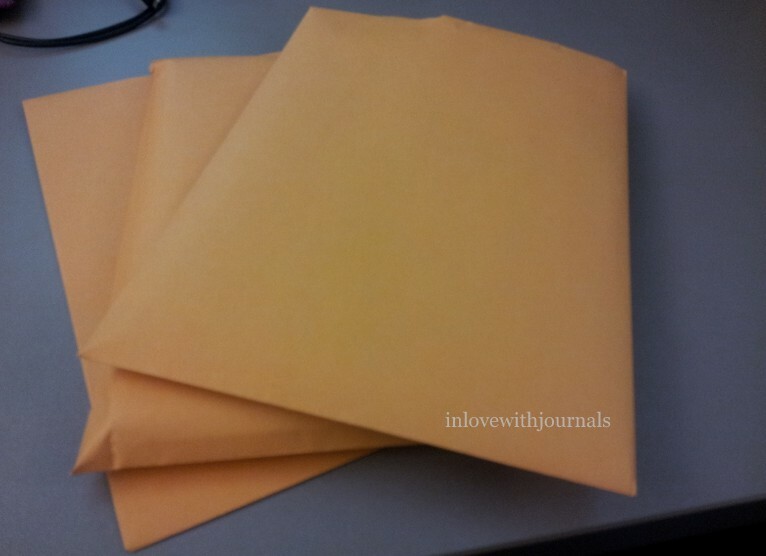 The items were packaged very well in foam and kraft paper, and then within these kraft paper envelopes. 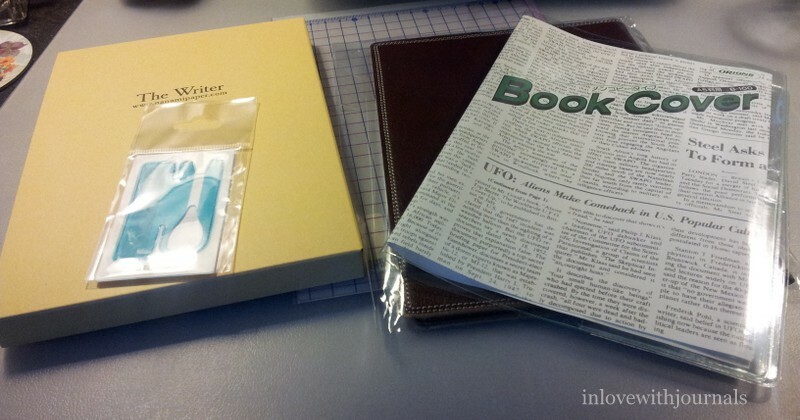 From left to right: The yellow Seven Seas Writer slipcase, with the notebook inside; a blue Hold-On pen loop; a clear plastic writing mat with grid; a brown vinyl notebook cover; and a clear plastic notebook cover. The Seven Seas Writer comes in this slip case. The pink paper you can see peeking out is blotting paper. 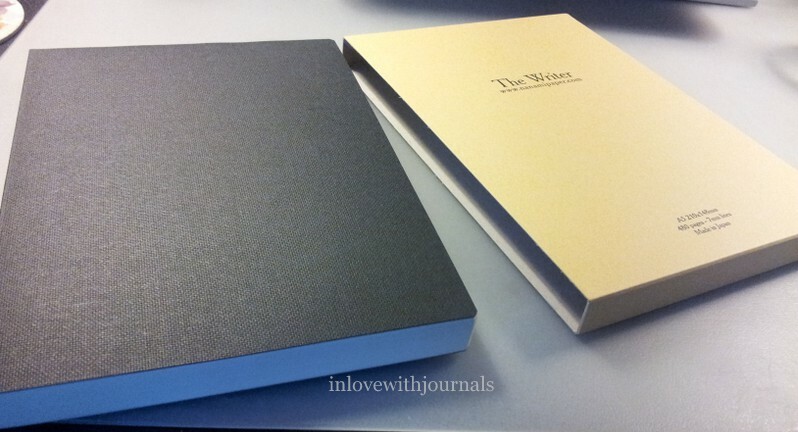 The notebook, on the left, is bound with a simple heavy cardboard cover, in black. Nice and plain, but a cover is recommended. The notebook is thread bound and so lays flat upon opening, with no stress to the spine. Gloriously flat! 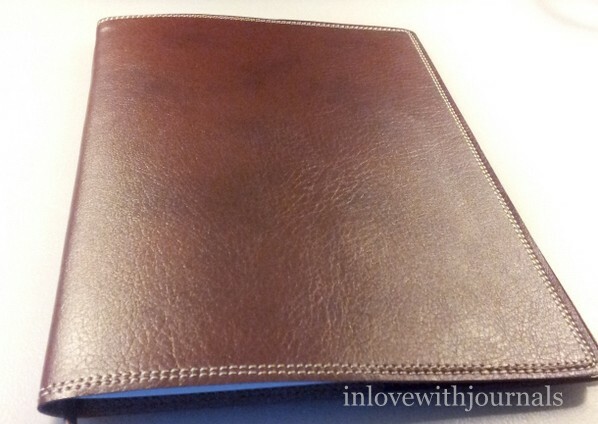 This is the MF Faux Leather A5 Notebook Cover. It is more expensive than the Cheap Notebook Cover (which I will discuss shortly) but considerably less expensive than the Gfeller notebook cover, which is Kip Leather and wonderful, I’ve heard. I chose the MF because of the price: just under $20. It has a bookmark and looks pretty good. 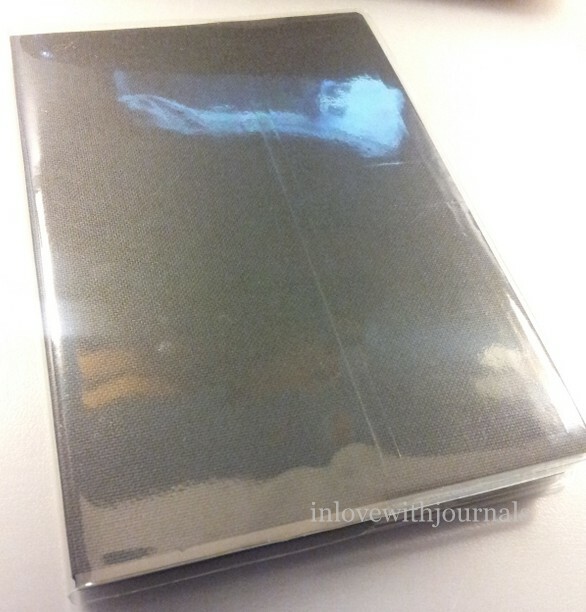 I also bought the Cheap Notebook Cover because of the price: $2.50. Here is the MF cover open. I couldn’t help but think what a great piece to start a Fauxdori with. 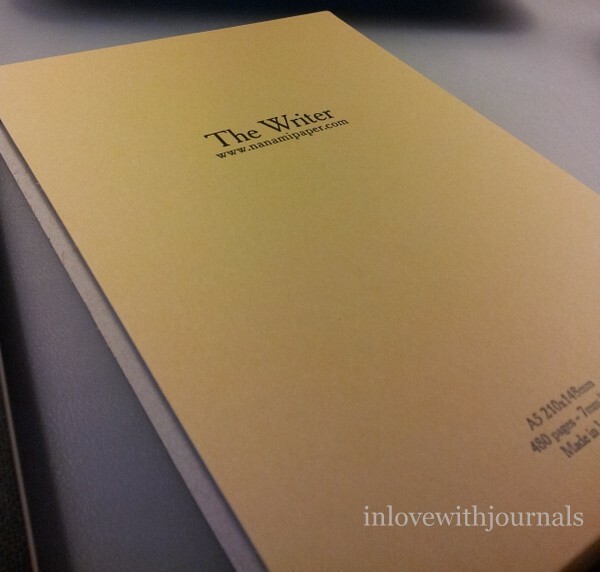 And the Seven Seas Notebook slips in beautifully. And here is the filled MF cover. I quite like the double row of stitching. And of course the bookmark. Here is the notebook inside the Cheap Notebook Cover (sorry for the glare). It’s fine too but let’s face it: the MF cover looks better. 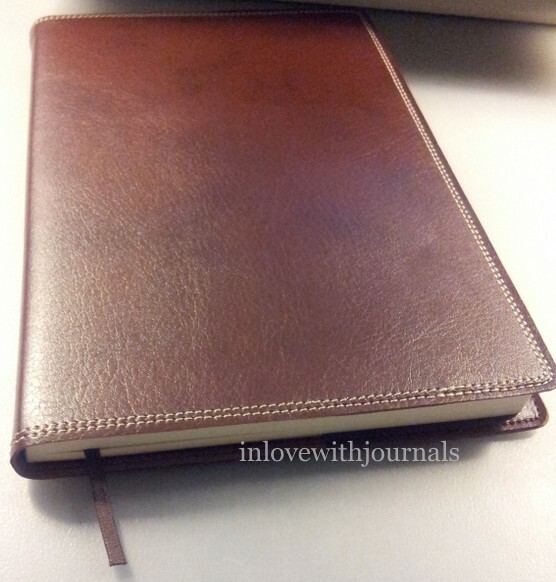 This Cheap cover fits standard A5 notebooks so I’m sure I will find a use for it, as I have a few of those (ahem). I also bought the writing mat, which is exactly that: a mat upon which to write. You can slip it in between the pages of the notebook as they are super thin, one of the characteristics of Tomoe River paper. And when you are close to the bottom of the page you can use the mat to rest your wrist. The Nanami web site suggests using your smart phone to the same end if you don’t have a writing mat. I have a thing for pen loops. I want every single one of my notebooks to have a pen loop. 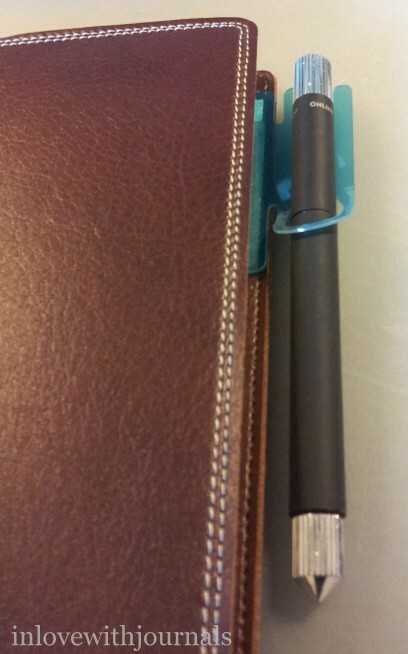 And this Hold-On Clever Pen Loop for Notebooks just might be the ticket. Too bad you can only buy 5 at a time. Seeing how great they work I should have bought more. They are $3.60 US. And the website shows you how to make a “hack” for it, if you don’t want to get the sticky adhesive all over your notebook cover. A non-permanent solution, if you will. Luckily I had some Post-It Tabs handy and followed the instructions. I stuck the tab on the inside of the back cover. I then stuck the Hold-On pen loop to the tab. To truly avoid sticky residue I only removed the backing from the pen loop to the width of the tab (got out the old craft knife). 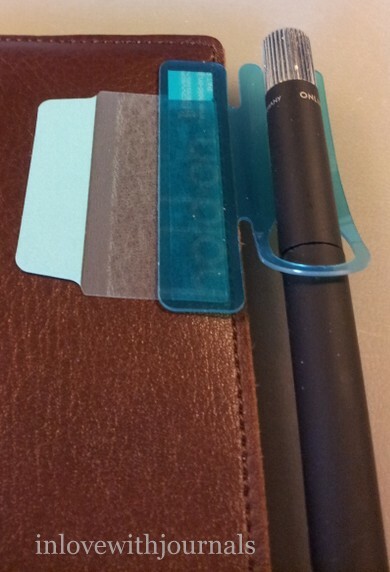 The sticky back of the pen loop is super sticky and will not come off the tab very easily. Whereas the tab is easily removable but not so easy as to fall off. Ingenious! Here’s a quick ink test on the back page. Notice how sharp each example is. The paper is smooth like glass and there is no bleedthrough. There is a bit of a wait for drying time but that’s what the blotting paper is for. There is definite show through but as my sister says, “I LIKE show through!” I realize some don’t and if you don’t just use one side of the paper. I am thrilled with this new notebook. The service from David at Nanami was excellent and the products are superb. The feel of the Tome River paper is exquisite; smooth and buttery. There’s a reason it’s so popular with fountain pen enthusiasts. And if you want to try a sample David can help you out there too; he offers 6 sheets (3 white, 3 cream) of Tomoe River paper anywhere in the world for $3 and free shipping. Yes you read that right. You really should try it out because it is amazing. No wonder there is a purchase limit of 5 for the Seven Seas notebooks. Get one while they last. My new Coleto arrived this week and I will review it this Sunday. I am still waiting on another ebay pen, as well as the Goulet ink mentioned last week. And today I ordered a bunch of stuff from Nanami Paper; they finally have their Tomoe River paper notebooks back in stock. Stay tuned. I’m getting over a cold (again) and the recovery for my leg is taking forever. With colds comes coughing and sneezing, and it feels like for each cough/sneeze I’ve earned a week of excruciating leg pain. I’m waking up in the middle of the night again, but it’s not so bad that I have to actually get up, which is a plus. One day at a time. I spent a few hours working on my Letter Journal; I’m slowly filling up the Phasha journal and I love the look of it! I wrote in my journal how happy it makes me to revisit old letters. 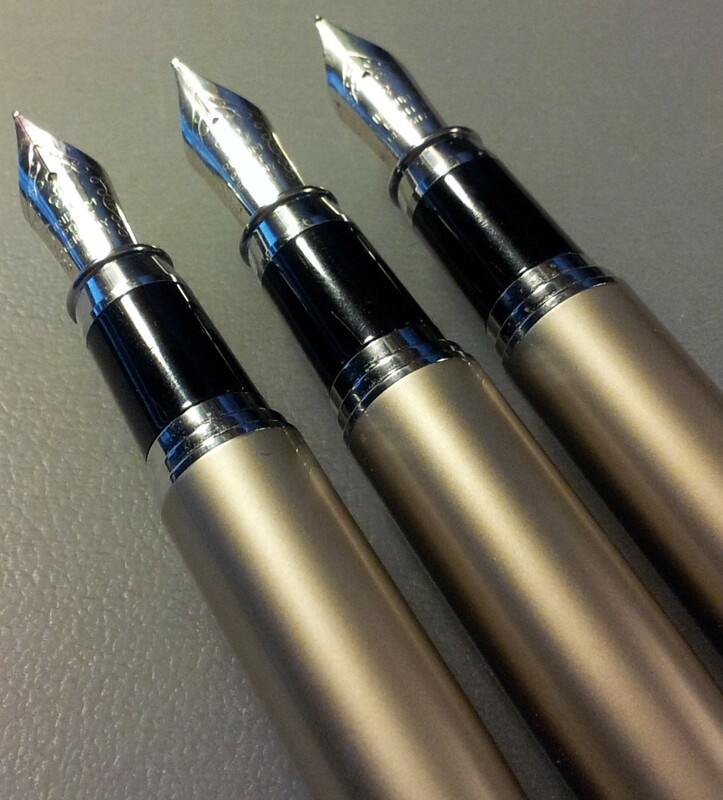 Fountain Pen Geeks uploaded a video about Fountain Pen Studios and here is their website. Beautiful pens, with a lot of amazing presentation options. Here are some fantastic Victorian words that have, sadly, gone out of fashion. I love Gigglemug and Skilamalink! I found this fantastic website, Nanami Paper. They have Tomoe River paper pads and neat paper clips. They also have a Resources section where they give you links to all kinds of great pdfs to enhance your writing experience. Great site!